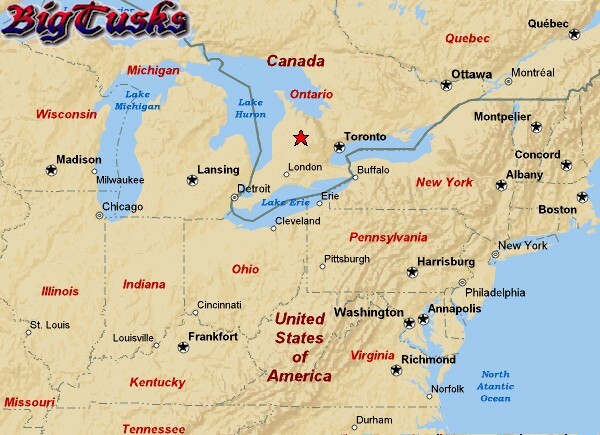 WildBoar Reserve is located approximately 60 miles north-west of Toronto, Ontario, Canada. Only a 2 hours drive from the US border. 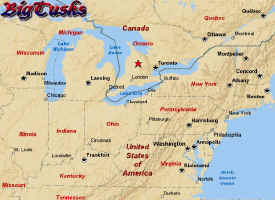 We are close to Mount Forest or about 30 miles north of Guelph, Ontario. You don't want to miss hunting with us! If you would like the actual driving time and directions from your location to WildBoar Reserve, click here and we are located just north of HighWay 89, at the tip of the arrow on the map. Click here to contact WildBoar Reserve ! Visitors to date (since Jan 1, 2018). P.S. 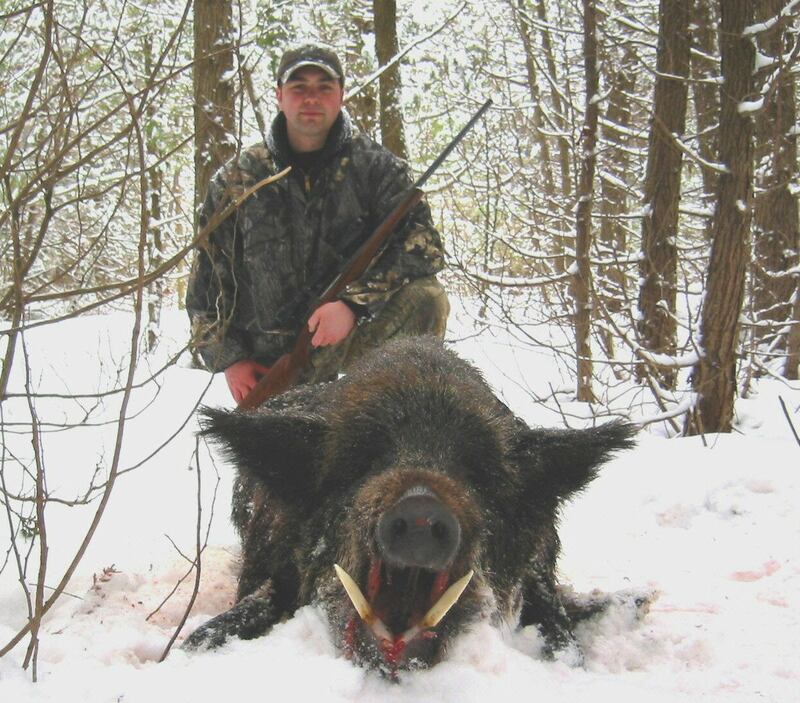 Replace word hunting with harvesting on this web site because you are guaranteed to have your wild boar in the bush for your harvest.